Treat your feline friend to a new home with this Cat Playhouse Teepee. The cardboard teepee provides your cat with the perfect space to sleep. Inspired by the homes built by Native Americans, it may inspire your cat to use up some of their nine lives with their new-found pioneering spirit (although we're pretty sure they'd just prefer to sleep). 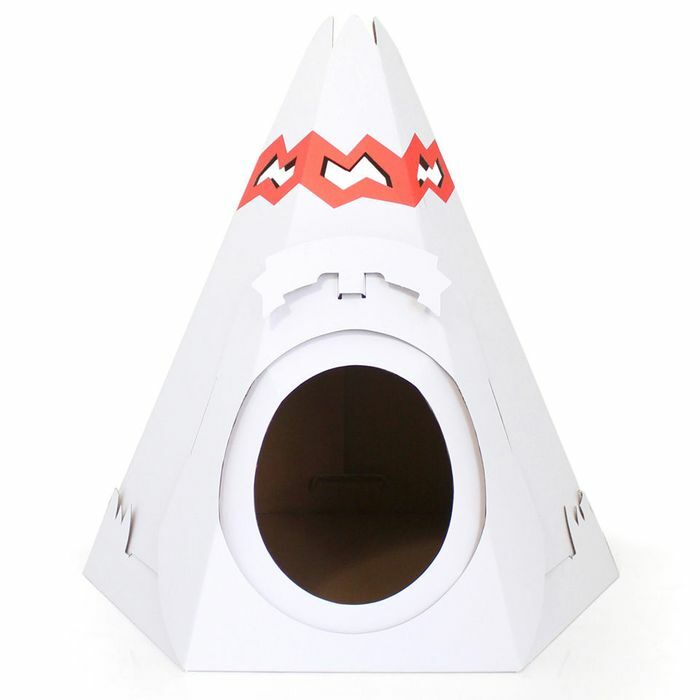 Complete with toys, this teepee will be the perfect place for your cat to rest and play. - L.M. Oh my goodness this is so cute, jist a shame it isnt made of something better than cardboard, with 3 children in this house it wouldnt last 5mins. Great find tho. Cats would probably love this. Thank you very much for sharing. This makes me wish I had a cat just so I could buy one of these! Don't think my dog would be impressed! Ordered one for my bunnies! They'll chew it to bits but they'll have fun doing it lol! With seven cats, this wouldn't last 7 minutes with them all scratching the cardboard...I have enough cleaning up after birds and mice, thanks!